A few weeks ago I made a pizza I wrote about here . It was delicious, I loved it. This time I decided to try another method, to compare the results. This recipe it's been on my mind for a long time, I tried it few times, without noticeable results. I knew the recipe is good, and I knew that one day I'll be able to make it right. That one day happened last week. The recipe I talk about is from Jeff Varasano site, I'm sure you all know it. 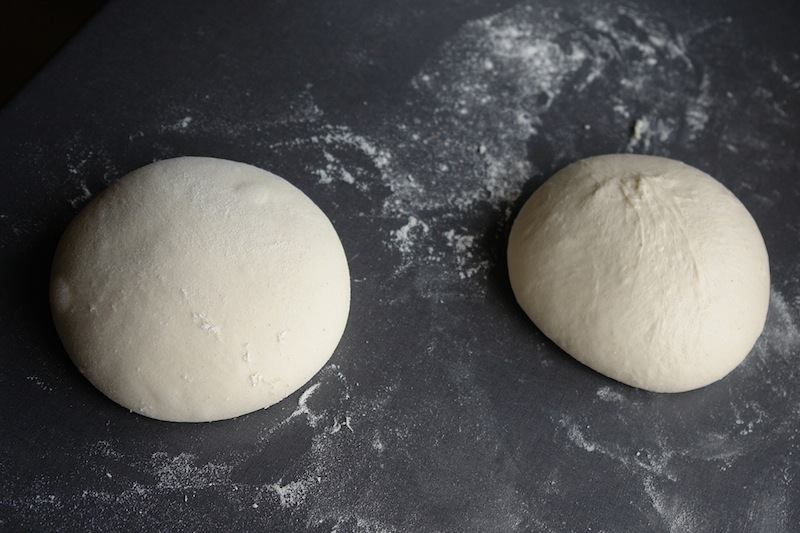 I made dough for two pizza, and I baked them in two different days. Both were absolutely delicious, and using a home oven, I guess it's the best you can get. 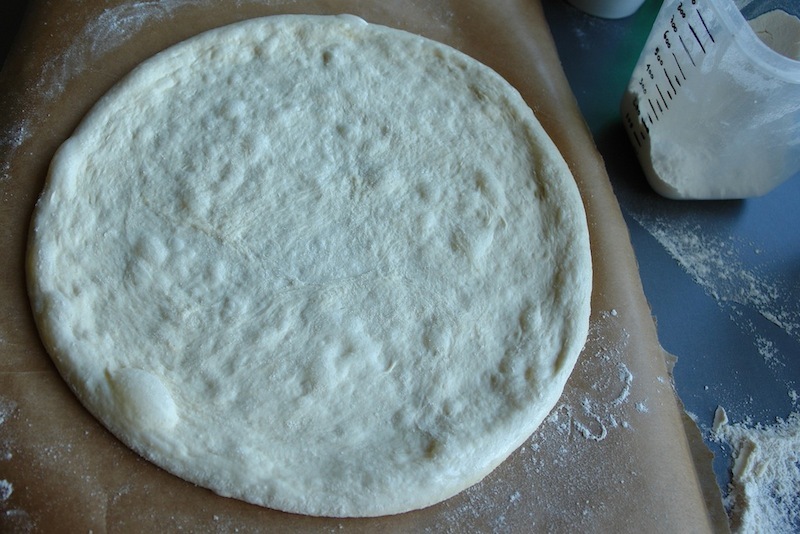 The dough was made only with flour (00), water, sourdough and salt with 67% hydration. I made two balls of dough (about 295 g each) and put them in the fridge for 24, and 48 hours. Maybe next time i'll let the dough in the fridge more days, J.V. says it can be kept for maximum 6 days. Complete recipe, more pictures and funny english translation cand be found on my romanian blog Apa.Faina.Sare. 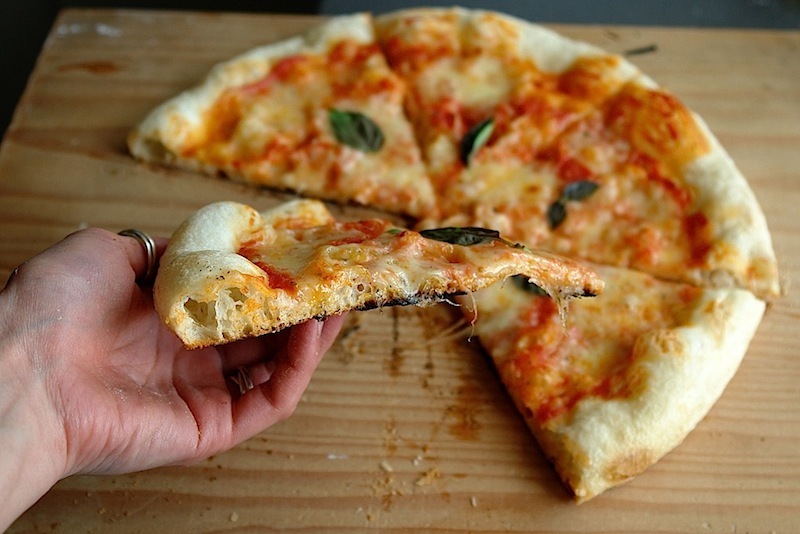 Hard to beat a simple pizza like that with fresh-torn basil to finish (aw, and I have to add fresh-cut chillies in EVVO), especially if the dough is good - and I know this one is! 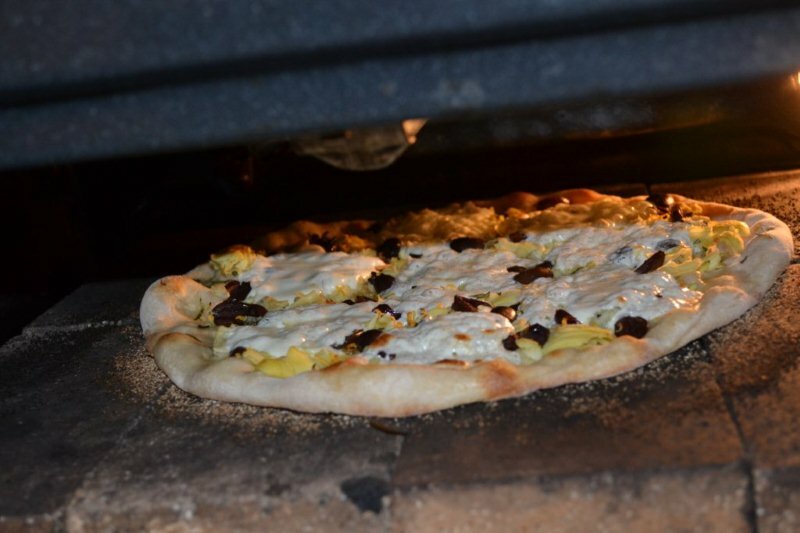 After trying many pizza doughs, I reached the same conclusion as you: SD pizzas as per Varasano are about as good as it gets for a home oven (assuming you're into authentic lightly topped classic trad thincrust style pizzas). 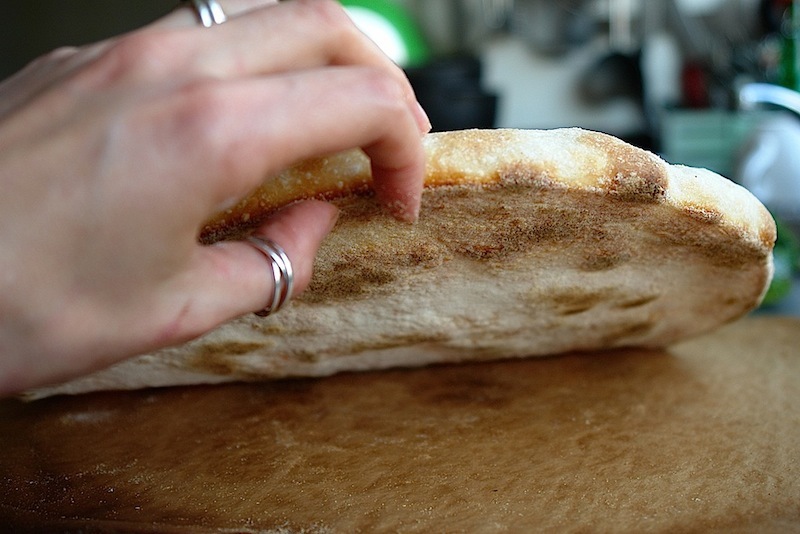 In fact, I took this observation for the title of a blog post I wrote about my adaptations of the Varasano formula and technique for those who prefer to hand-mix: see Sourdough Pizzas - As Good As Home Oven Pizzas Get. 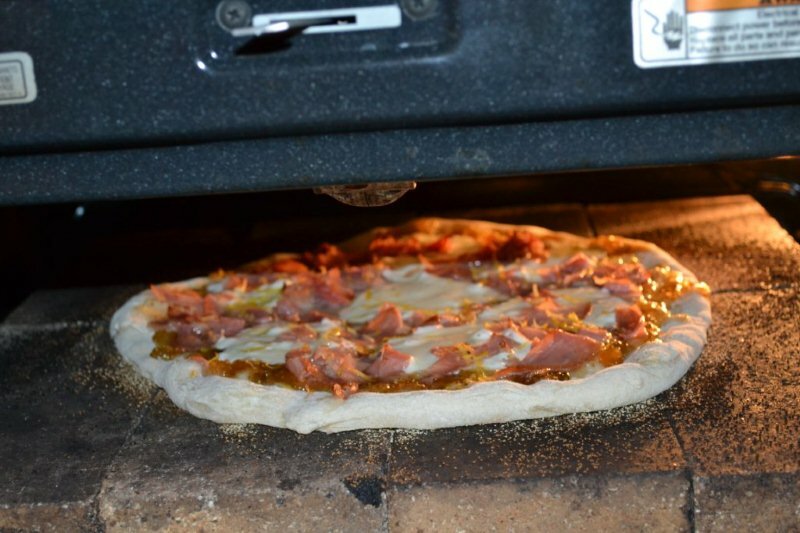 The equation can change when you move to wood-fired oven pizzas or those baked at optimal temperatures, which of course are much higher than a domestic oven reaches without modification. Dry or compressed yeasted doughs can be just superb at high heat, but for home ovens...well, you know! Incidentally, the flavour of this SD pizza is so damned yummo, I don't often bother with tomato sauce topping any more. I recall your posting about preserving your home-grown tomatoes. Cutting some of these up without making a sauce out of them, mopping up excess moisture, then spreading them on a marguerita would be wonderful I imagine. We have some winter San Marzanos we're harvesting one by one as they ripen in the backyard, and although they're not as well-developed in the sugars as in warmer seasons, they're very, very nice cut on to pizza. Other pizza bianco toppings I love on this base are prosciutto with some bits of mozzarella strewn about, and topped after baking with fresh rocket (arugula) and fresh cut chillies in extra virgin olive oil. And possibly my all-time favourite is super-thin sliced potato marinated in olive oil and fresh-chopped rosemary, with sliced red onion (lightly pre-fried) and maybe some roasted garlic cloves. Oh, and sprinkled lightly before baking with grated provolone, or next best any of the Italian-style hard cheeses like pecorino, romano or - least preferred - parmesan. Even just olive oil with chopped rosemary and lightly sprinkled with flaky sea salt is lovely on a base this tasty. I have to confess, though, I can rarely resist adding a bit of cheese of some sort, and always finish off with fresh-ground black pepper and - yes - a good dollop of cut chillie in EVOO. I'm with you on the fresh basil over the top, too. PS: Great pics, by the way - much better than any pizza shots I've taken, which are always at night in a dim-lit kitchen (it shows!). I'm thinking you make sure you have good lighting for your pics? Ross, your combinations sound particularly good. I'll definitely try one of it next time. My boyfriend always ask me to leave a base without topping, cause he loves the taste of plain crust, with a drizzle of olive oil and herbs. ps. I baked the pizza in time for an early dinner, 18-19 o'clock, and the light is good this time of the year, the sun is up till after 21 o'clock. can't hardly finish reading......my mouth is drouling. Will try SD pizza dough! That's the type of crust and crumb I like for my pizza as well Codruta. I've never done a naturally leavened pizza dough before, but looking at your delicious results I'll be sure to try it the next time I have some active starter on the go. Franko, you don't know what you're missing till you try it. After I read jeff varasano post, I considered a fake every pizza I made before. He's That Good! Beautiful pizzas and great photography to match. An inspiration to all pizza lovers. Thank you Ed! I'm glad that you found inspiration in my post. 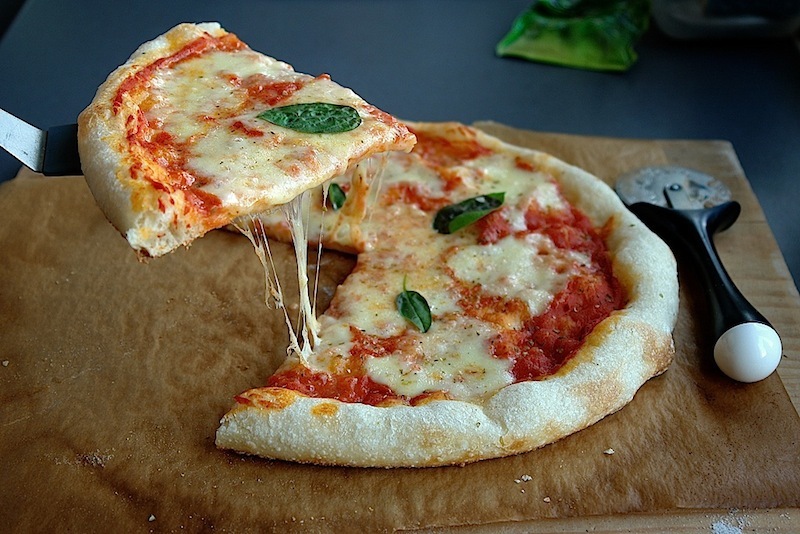 As good as a loaf or a pizza may be, sharing it makes it even better, isn't it? Just found this website today and love it. When I saw this post on pizza and Jeff Varsano was mentioned I knew I had to read on. 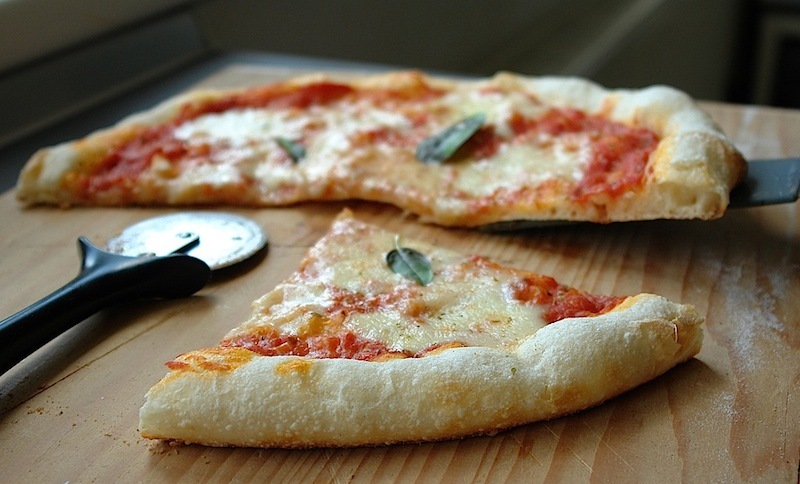 The pizzas look amazing and I'm very familiar with how the crust tastes. I've made this crust several times now with the last time being 4th of July weekend. 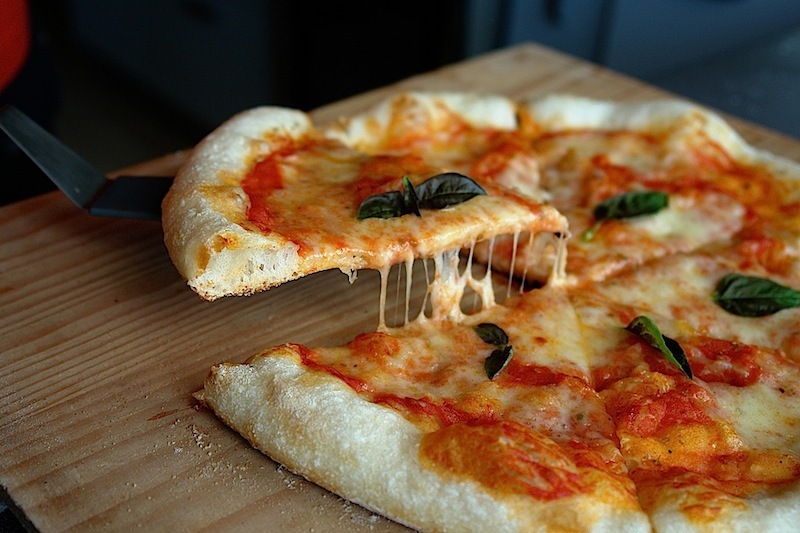 Pizza is more of an obsession than a hobby with me. Codruta, what are you baking on and at what temp. I use 8 fireplace bricks and this time I was able to check the surface temperature with an infrared thermometer. I got a max reading of 570F. 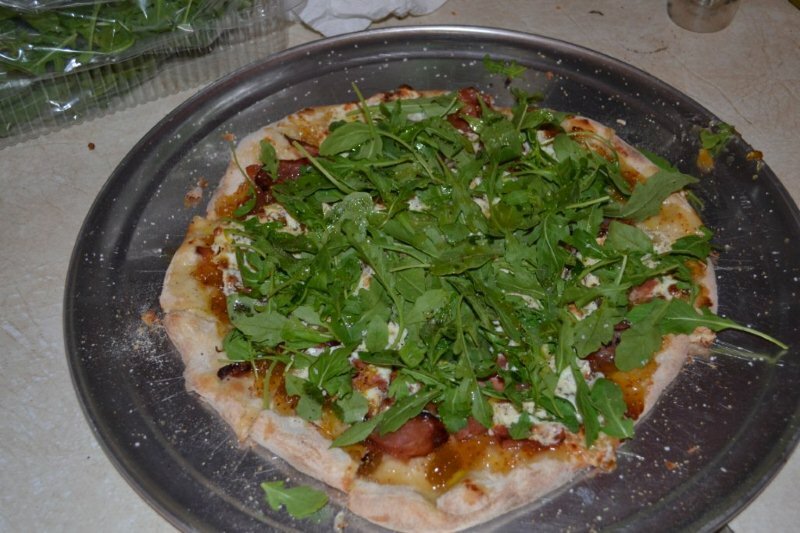 The hit pizza of the night was fig spread, priscuitto, fresh mozzarella, lemon peel and then topped with Arugula, olive oil, salt and pepper after baking (see pictures below). hi, JC! Your pizzas look very tasty! I notice that you put your stones in the upper part of your oven? I use a baking stone (a granite one), but I put it in the lowest part. I preheat the oven at max. temperature, with the stone inside, for 50-60 minutes. 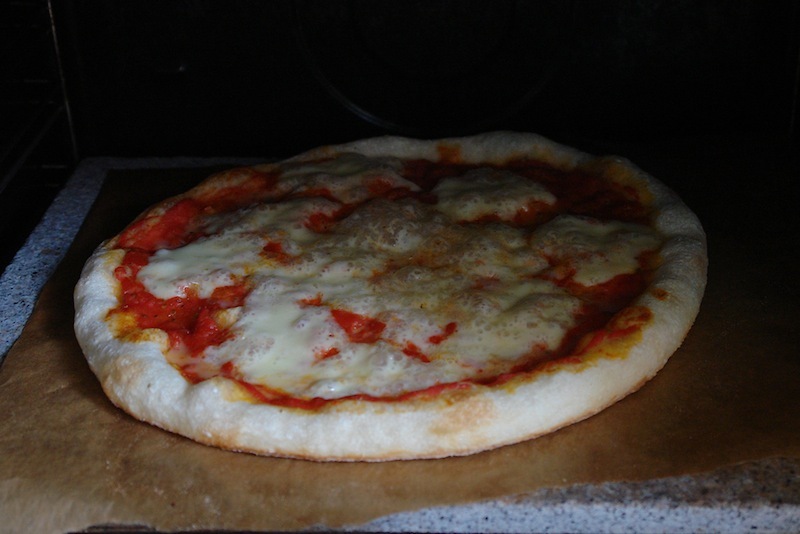 For the first pizza I put the stone directly on the oven bottom, and you can see in a picture that it burnt a little. Next day I moved the stone, on the lowest rack, and it was better. Somewhere in between would have been even better. It was done in 6 minutes. I don't have an oven termometer, so I can't tell you what was the temperature. Thanks for the comments. This was only the second time using this oven with the bricks so I'm still testing it. We replaced our electric range with a gas/convection last December and the first time I used the bricks in it I had put them near the bottom. I felt they didn't get as hot as I would like so this time I tried them near the top. They won't fit in the middle do to the convection fan in the back. I pre heated the oven for about 90 minutes and was able to bake 5 pizzas 1 right after the other without much lose in heat. On the agenda for tomorrow are 3 loaves of 1,2,3 formula sour dough bread from this site. Pictures to follow tomorrow night. Your dough shaping is particularly impressive, Codruta. thank you, David. This dough was a pleasure to work with. Balloon bread section - good or bad?